TL;DR: A GPU process is a very good idea! The Cliqz Test Pilot experiment has launched in Germany! This means that we’ll be able to get more data to help make Firefox crash less, but in a privacy-centric way. Great! 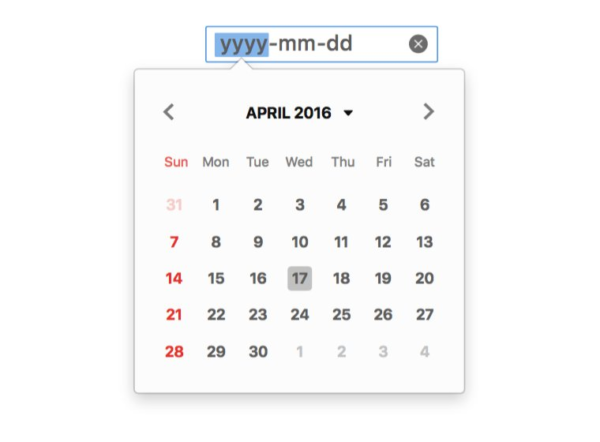 jessica and scottwu have landed the DatePicker UI! Jalen Adams fixed a whole lot of different bugs! Also showing a nice win from bug 1323319 landing! Heads up – the Performance API has been skipping process start time and IPC transit time. A fix is in progress! MattN lets us know that the Form Autofill team has made progress working on connecting to autocomplete and filling profiles. mconley notes that we are removing the Adobe Primetime CDM. Sayonara! Florian reports that the new Captive Portal UI will ship in Firefox 52. Last bits of polish have just landed and are being uplifted. Mike de Boer and team have started to work on new-style themes. Initial WebExtension parsing has landed and support for lightweight themes is first up. Mike further notes that the sessionstore team is getting more organized and is working on reliability, performance and new features. He would like to welcome interested contributors to contact him to find bugs to work on. The huge gaps between them are rather annoying though. Is there something faster than the blog? I love reading it as well since it is nicely formatted and obviously writtern with effort, but I need the bleeding edge! Thanks a lot for these reports. It’s quite interesting.